Take in the majesty of Yosemite from Glacier Point, a viewing area 980 m (3,214 ft) above the bottom of the valley. 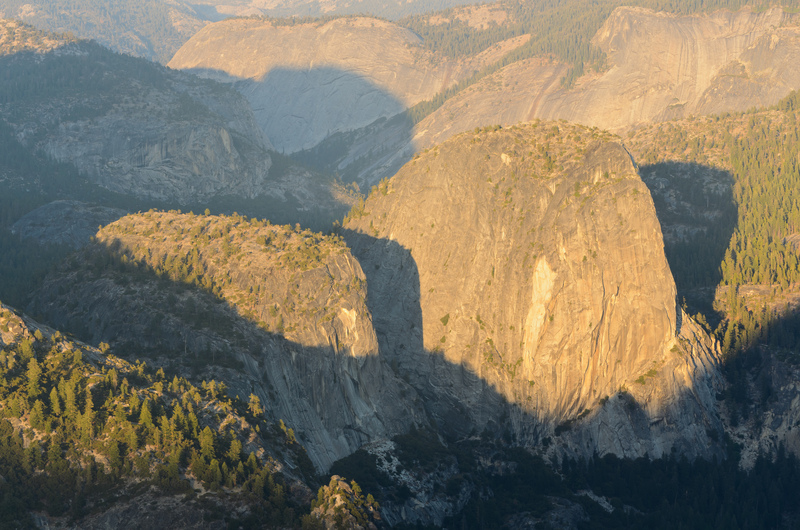 From here you can admire and photograph Yosemite Falls, Half Dome, Vernal Fall, Nevada Fall, and Clouds Rest. Depending on the time of year, the spot is accessible by car, bus, foot, or skis. From the parking lot, you must walk along a short, paved trail to get to the viewpoint. If you are feeling adventurous, set off on a hike from here. Bring along some munchies or purchase some snacks from the visitor center for a meal with a view. Put Glacier Point and other Yosemite National Park attractions into our Yosemite National Park attractions planner , and watch your holiday take shape. Viewpoint nothing short of enchanting, characterized by a breath. Easily accessible by car, the vantage point is surely one of the most fascinating views of Yosemite National Park. Glacier Point is one of the main attraction in Yosemite National Park. Amazing place for nature lovers. Very beautiful valley. Best place for a day out with family and friends. You can enjoy the gorgeous mountain peaks and waterfalls. You will find large number of visitors, especially on weekends. Yosemite National Park is one of the American national park in the western Sierra Nevada of Central California. This is maintained by the National Park Service. One of the most mega view points in the history of view points. Easy, paved trail to multiple overlooks. Go to the end to see into Yosemite valley. Perfect view of halfdome. There is actually a good amount of small hikes off the paved trails and you can almost always get away from crowds. The earlier you come, the less people there are. I highly recommend watching sunrise here!